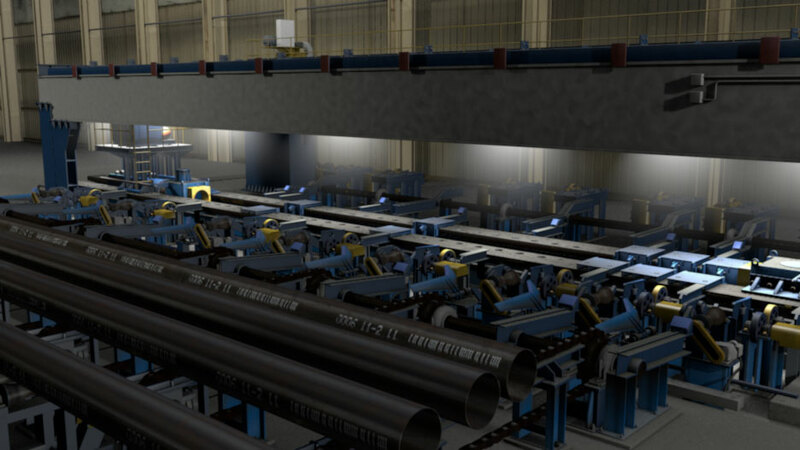 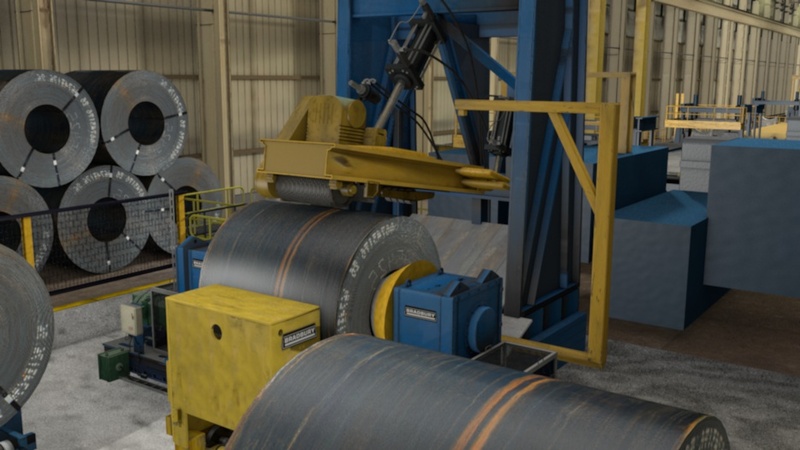 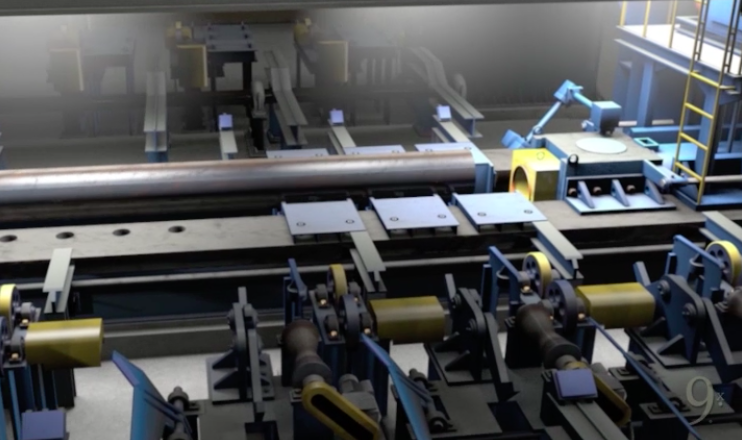 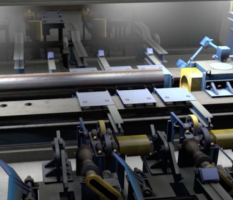 Ninetimes created this realistic illustration of steel pipe manufacturing equipment for American Steel Pipe. 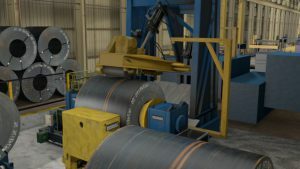 This old “flying cutoff”, was located within the Birmingham company’s ERW steel pipe mill prior to this equipment’s replacement with new state-of-the-art steel pipe manufacturing equipment. 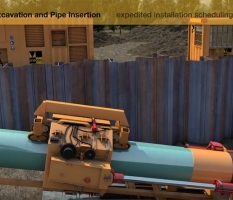 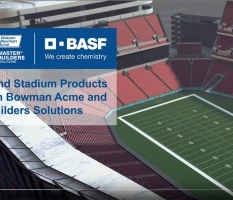 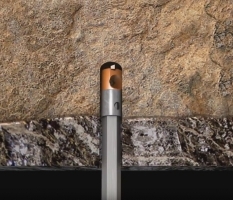 The image was first used in an animated plant tour video produced by Ninetimes and later reproduced as a poster. 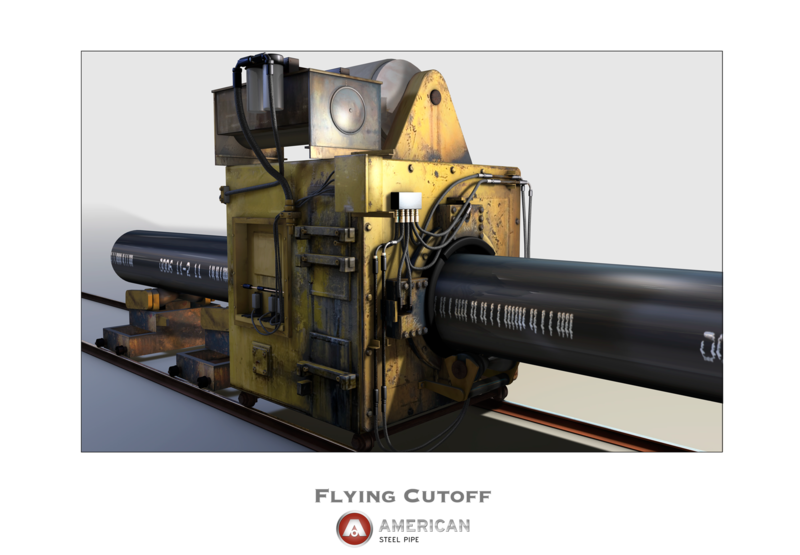 The flying cutoff illustration was created initially as a 3D model and then digitally painted to add textures and color. 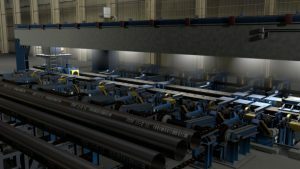 American Steel Pipe manufactures steel line pipe for installation as energy transmission and power facility pipelines.